This Paly is a lovely variety from the People Eater group. Twinkle Twinkle is prized for its dappling pink rings and punctuating stripes. 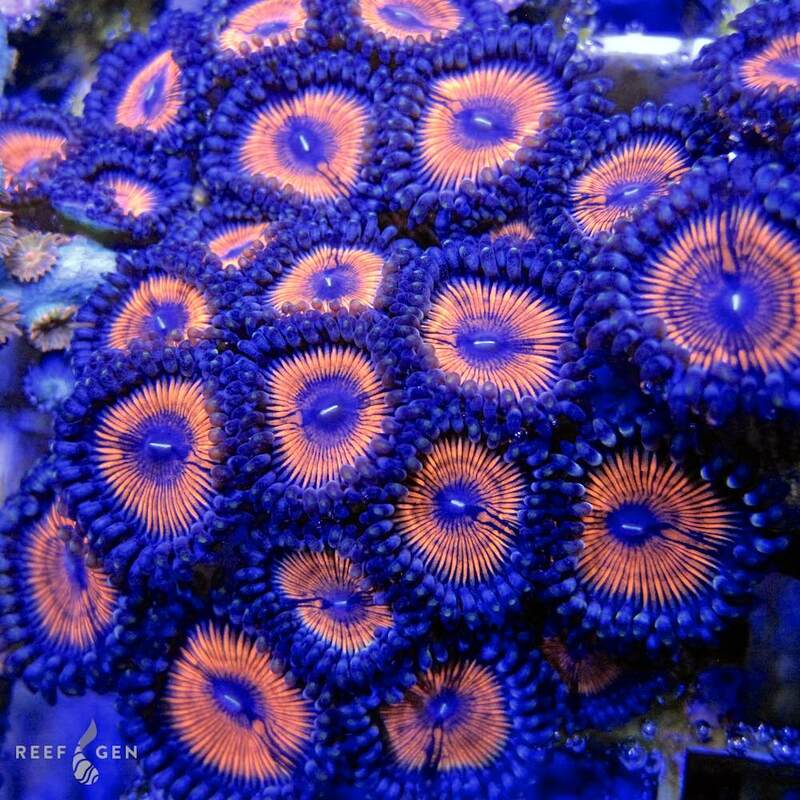 Similar to Armor of God Paly's these are large pink polyps that fluoresce brightly under any lighting! 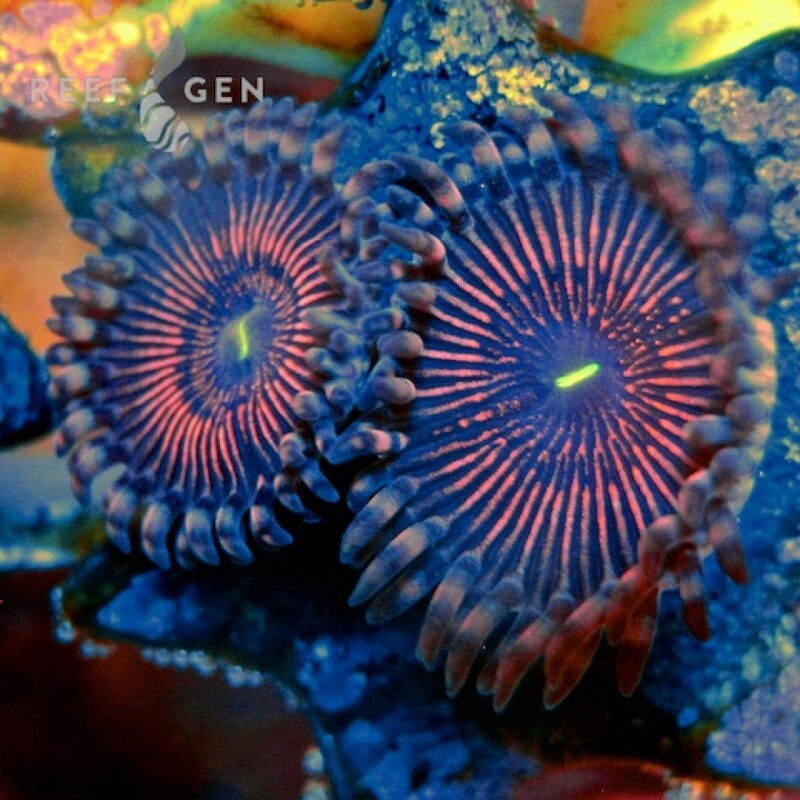 Their yellow mouths highlight each polyp with a kind of beauty approaching that of the Helm's Deep Palys.